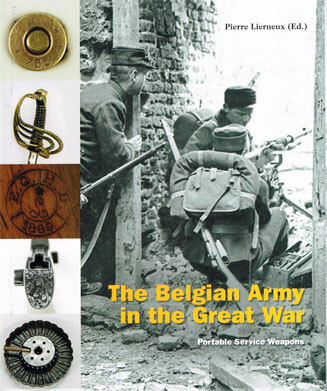 With the complexity of the subject, the masses of fresh information and photographs available, a second volume dedicated to the small arms was deemed necessary to complete the overview of the Belgian Army during the Great War. Once again the collections of the Royal Military Museum of Brussels reveal their wealth and diversity. Much more than a simple catalogue of weapons used by the Belgian Army, it is the story of the transformation of a small army caught in the struggles of the Great War, its adaptation to technological and tactical progress. The production tool, but also the know-how and the ingenuity of the gunsmiths were naturally put at the service of the Belgian Army. Modest in numbers, the army disposed in 1914 of a decent individual armament, even if its concept was twenty years old. Well trained, the soldier could exploit to its maximum the long range precision of his weapon. However, the small numbers of automatic weapons, recently purchased, would prove a serious handicap when vastly outnumbered by the enemy. The battle for the Ijzer, saving a small portion of the national territory, saw the end of the war of manoeuvring. The war years saw the government and the rear echelons multiply their efforts and ingenuity to insure the soldier in the front line was correctly armed. On top of numerous adaptations to existing material, there was a large diversification in the origins of the equipment fielded. Photographs of the Belgian front allow the identification of weapons from France, the United Kingdom, United States as well as Germany and Turkey amongst others, weapons used as built or modified to suit the needs of the army. Excellent! H/C. 512p.